We do this through two innovative program models. Our in-school model places well-trained, recent college graduates from our 26 partner universities as full-time college advisers in high schools across the nation. Our virtual model leverages technology to connect well-trained, recent college graduates with students everywhere in the nation that technology can reach. 2018 was one of our most exciting years yet, with lots of big accomplishments. But our advisers and staff also spent every day doing the most important work: helping underserved students from all backgrounds find a path to higher education. 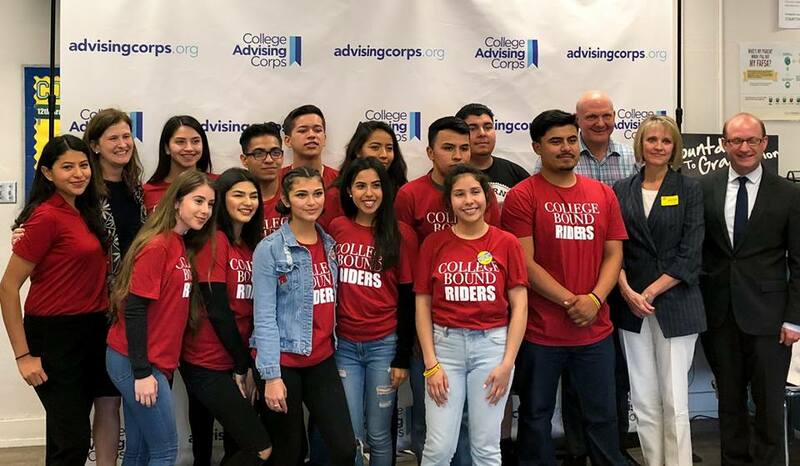 At College Advising Corps, 2018 was one of our most exciting years yet, with big news happening all year long. But we also spent our year doing the most important work: helping underserved students see a path to college. CAC received a $20 million gift from the Ballmer Group to launch Goal 2025, CAC’s commitment to enroll 1 million students in higher education by 2025. That was especially important to Ballmer Group founders Connie and Steve Ballmer, who see how receiving a college education does more to boost a student’s economic mobility than any other step. Steve Ballmer, the former Microsoft executive, is the first person in his family to graduate from college. Heidi Estrada, a student at Sam Houston High School advised by TCU adviser Alma Luna, received a $25,000 Live Más scholarship from the Taco Bell Foundation. Heidi was her senior class valedictorian and went on to study political science at the George Washington University this fall. Heidi said the guidance she received from her adviser Alma — who was also advised by a CAC adviser — was invaluable in helping her make college a reality. Founder and CEO Nicole Hurd was named one of TIME’s 31 People Changing the South, joining changemakers like Bryan Stevenson and the South Fulton Eight. “If we don’t do this, then the American Dream is really in jeopardy,” Dr. Hurd said in the article. CAC kicked off its 13th school year by adding two new university partners, UC Merced and the University of Utah. Overall, CAC has 716 advisers serving 210,000 students in 670 schools across 16 states this school year. 80% of advisers are first-generation or people of color or were Pell-eligible in college, and 10% of advisers were advised by CAC when they were in high school. Edson Leyva, who attended the Lab School of Finance and Technology in the Bronx and was advised by NYU adviser Pedro Cordova, was one of the first recipients of College Board’s $40,000 Opportunity Scholarship. Edson and two other students learned they’d won the scholarship live on Good Morning America. 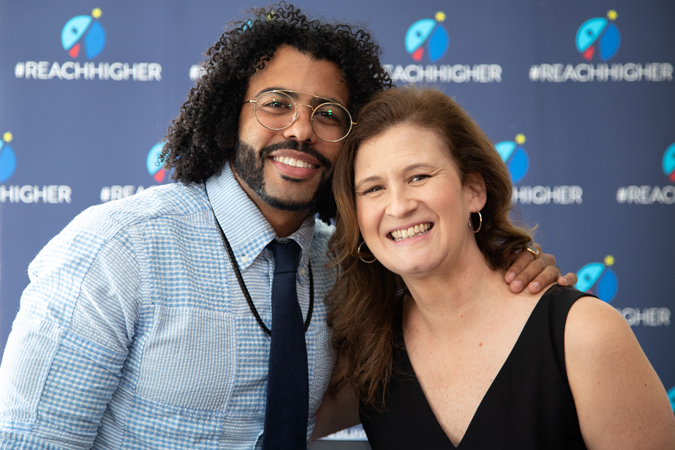 Schools served by CAC in Boston, Dallas, Los Angeles, New York, and Philadelphia received free tickets from Reach Higher to attend Michelle Obama’s “Becoming” book tour. The students and advisers said seeing one of their role models reminded them the importance of getting a college education — and the privilege that comes with achieving that dream.